Tesla CEO Elon Musk says the solar roof that will be sold under a combined Tesla-SolarCity will most likely cost less to install than a normal roof. Tesla and SolarCity shareholders voted in favor of the merger, a deal worth $2 billion, on Thursday. Musk unveiled a new solar-roof product in late October to show his vision for a combined company with SolarCity, but he did not provide specifics on how much the product would cost. On Thursday after the shareholder vote, Musk said the solar roof was likely to cost less than a normal roof. Musk added that the price he was speaking to factored in the cost of labor. 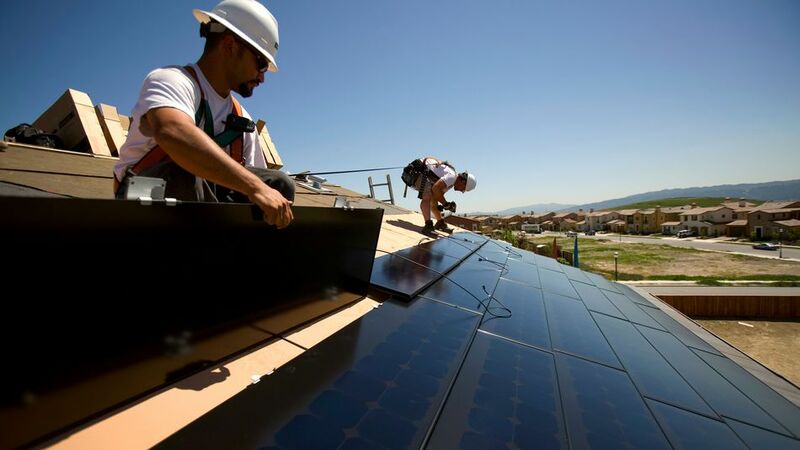 During a November 1 conference call, SolarCity CEO Lyndon Rive said the companies were aiming for 40 cents a watt, which would put it in line with the competition. Musk unveiled four solar-shingle options for a solar roof at the October 28 event. The solar roof is designed to incorporate glass developed by Tesla's new glass division. Tesla plans to produce the solar cells for the roof with Panasonic at a manufacturing facility in Buffalo, New York.